Have you tried to get a fixed rate business loan lately from a “too big to fail” bank? Has the bank said it only offers variable, floating rate loans? Has it then offered to introduce you to its affiliated company that can help? If you answered yes to these three questions, you are not alone. Many smaller borrowers find that the traditional 15-year fixed rate mortgage on their factories, warehouses, offices, etc. can’t be had from their long-time lender. With interest rates at all-time lows, you can understand why a banker doesn’t want to fix his return for 15 years, just as much as you do want the fixed rate option. Bankers really need to limit their interest rate risk in these days of aggressive regulation, and avoiding long-term fixed-rate assets is one sure way to do so. But I don’t write to pity the TBTF banks. 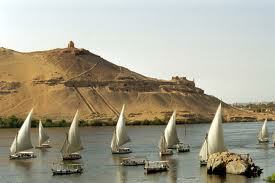 I write to alert you to one of the pitfalls of this “affiliated company that can help” offer. Most banks are part of bank holding companies, and big bank holding companies have investment banking subsidiaries. These investment bank subsidiaries can sell the borrower an interest rate swap contract that effectively swaps the borrower’s obligation to make payments based on variable rates for an obligation to make fixed payments for the life of the contract. For example, a borrower may get a 15-year floating rate loan at prime plus 2% for his factory. At today’s rate that is 5.25% and will change the day the bank announces a change in its prime rate. For a million dollar, 15-year amortizing loan, the monthly payment at 5.25% is $8,039. If the prime increases to 8.25%, the loan rate rises to 10.25% and the payment increases to $10,900, an increase of 36%. We can see why no one wants to take the risk of interest rates increasing if he can avoid it. And the banks have a special incentive not to do so — avoidance of regulatory criticism. So their investment banks developed interest rate swaps. Great idea, but beware of a few potential pitfalls. First the accounting for these derivative contracts is complicated and changes every month. As interest rates increase and decrease and the present values of the cash streams change (as they will as time passes), the differences must go through your income statement and be recorded in your company’s equity. Some borrowers ignore this during the year and have their CPAs figure it out later. I realize this is just paperwork and has little impact on your business (remember Cash is King), but it will impact your financial ratios, possibly hurt your covenant compliance and give you one more thing to explain in your financial statements. More potentially troubling is that your obligation to make these fixed payments is for the life of the swap contract, not the life of the loan. So what happens if someone offers you a bunch of money for your business and you want to retire? Great, right? Not so fast. You must pay off the mortgage note, but you still have the obligation to pay the fixed mortgage payment, every month, for the remainder of the swap contract or buy your way out of the obligation. So read the fine print, negotiate an early maturity for the interest rate swap or even buyout prices in the swap contract. And ask yourself just how much you are willing to pay to trade one type of risk for another. Have you gotten involved in one of these situations? What has your experience been? After the crisis, here’s how to improve your cash control (if you’re like, what is this guy talking about, catch up with Part I and Part II). Identify excess assets. What can you sell for cash? And remember: the quicker, the better. Do you have any extra cars, boats, planes, construction equipment, drill presses, injection molding presses, etc.? Go down the balance sheet, look at the equipment list, and examine the insurance policies. What don’t you need to survive? What can you rent instead of own? There are markets beyond Craig’s List and eBay. Construction equipment goes to auction all the time. List that extra piece of real estate on MLS. Offer the broker a bonus for a quick sale. Tell him you’ll auction it (without him) if he doesn’t bring an offer soon. Find the most active internet sites that cater to what you’re selling. What old inventory can you convert to cash? Can you sell it to a foreign customer? Is there an alternative market channel? Don’t be embarrassed to accept the accounting loss. Everyone but you has already recognized the lower value. Your goal is to get cash and survive. Remember that the first mark down is the best mark down. This is true for inventory, land, equipment and most other excess stuff. Get rid of the old stuff, get the cash and move on. Cancel the company credit cards. This will improve your control over spending since you are now signing for all spending (you already sign all the checks and have the bank statements sent to your home, right?) Canceling the credit cards might also improve your standing at the bank since their credit card exposure is now limited. It also sends a message that you’re serious about the business problem. Bankers love serious debtors taking serious steps to fix their money problems. And it won’t hurt your employees to note you are now a serious crisis manager. Finally, look at the payroll register. Since you sold the boat, you don’t need the captain. Since your purchases are dependent on who will ship to you, maybe you don’t need as many people in the vendor qualification department. Maybe your brother-in-law really should begin his long-sought career change. Letting people go stinks, but your business is struggling for survival, and you may not be able to save everyone. But if you don’t save the business, you won’t save anyone. That concludes our three part series on how Cash is King. Check out Part I and Part II to learn more about the importance of cash and how to manage it in a crisis. Do you have any questions? What have you had to sell off in the past that you didn’t want to? What ways do you free up cash in your business? After last week’s post emphasizing the importance of cash and making sure your business is still breathing, let’s use this post to add some detail to your cash picture. Start by listing all your bank accounts and their balances. If you’re starting with book balances, add back all those checks you’ve been holding until you get the money to send them. It’s best to void the checks in your accounting system and have corrected cash and payable balances to work with. Next, examine your list of customer receivables. An aging may help, but you will need to list who will pay you and when. Call the past due customers. Threaten them with shipment halts if they don’t pay. Offer discounts for prompt or early payment. A 1% per month early pay discount is worth 12% on an annual basis, a great rate in today’s interest market. Offer more if you must, but get the cash in the door. Now identify what you have to pay this first week. I recommend you start with those items whose payment will keep you out of jail. That is, payroll taxes, sales taxes and other government trust funds. In most places, failure to pay these trust fund taxes is a felony. I suspect defending yourself from felony prosecution will distract you from your business. After the payroll taxes and other government trust fund obligations, list your gross payroll. You probably need your employees to sell, make and ship your product, so keep them paid. They know that the business is in trouble, so paying them on time helps preserve morale. Next up are the vendors and suppliers who require payment in order to make or ship your product. Be bold and call them. Ask for help. See how little they will take to keep shipping. Reduce your orders to the minimum needed to ship product. Shop around for other sources before you’re cut off. Add a line for payments to your lender, but DO NOT enter a specific number – at least not yet. We need to see how much we have to operate the business before we can pay the Bank. If Cash is Over (a positive number), use this as the first line of week 2 and repeat the above process for the next 13 weeks. This should be long enough to cover all your existing receivables and give you an opportunity to use the cash receipts for the next six weeks’ sales. After the end of the first week, compare your actual cash receipts and disbursements to your estimates. Change the next weeks’ estimates to reflect what you learned. Maintain this process until your Cash Over number grows every week for six weeks and your calls to customers, vendors and the Bank are more pleasant and less frequent. Next week we’ll continue this conversation by fine tuning our cash control. 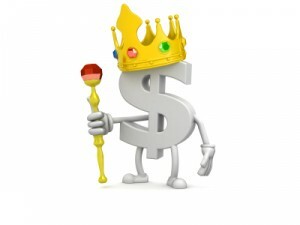 For now, check out last week’s post to learn why Cash is King. Have you ever gone through a process like this? What were the results and how did it go? Do you have any questions about what to look for? 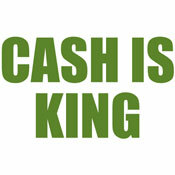 Cash is King, and every other business consideration is merely a poor pretender to the throne of a troubled company. 1. How much do we have? 2. How do we get more? 3. To whom must we give it? These three questions should form the basis of every decision the management of a troubled company makes. Stop worrying about market share, profit margins, sales trends, capital expenditures, etc. – except as they are directly related to cash. You have to survive before you can worry about these more traditional business issues. Think of your troubled company as a patient in the emergency room. The ER doctors start with the ABC of survival: airway, breathing and circulation. They don’t look for broken bones; they make sure the patient has a clear airway, is breathing and isn’t bleeding out. Now think of cash as your troubled business’s oxygen and blood. 1. Your first step is to clear obstructions to your cash picture. How much is in the bank? How much are your held checks? Are there any customer checks not in the bank? 2. Check your company’s breathing. Is there cash coming in? Are there leaks in the windpipe? Are your customer checks getting to the bank quickly? Are you getting immediate credit for your deposits? 3. Finally, is your cash leaking out? Are your expenses/cash disbursements going on the floor? Can you apply a tourniquet to the wound and staunch the leaks? And consider hiring a specialist to help you. When you go to the Emergency Room, you see ER specialists, not the family doctor. Once management identifies these first critical answers, it needs to expand its analysis by applying some time measurements and adding some details to its cash picture, both current and projected. That, we’ll talk about in next week’s post – so stay tuned! What are your experiences with your business and cash flow? Any questions? Want to learn ways to avoid being bitten by the alligators and keeping cash at the top. Check out this classic post.